The term denotes works set in an era or world where steam power is still widely used — usually the 19th century, and often Victorian era England — but with prominent elements of either science fiction or fantasy, such as fictional technological inventions like those found in the works of H. G. Wells and Jules Verne, or real technological developments like the computer occurring at an earlier date. Other examples of steampunk contain alternate history-style presentations of “the path not taken” of such technology as dirigibles, analog computers, or digital mechanical computers (such as Charles Babbage’s Analytical engine); these frequently are presented in an idealized light, or with a presumption of functionality. With several now classic, widely respected and heralded novels already published in the Steampunk sub-genre, and with many more in the works from various publishing houses and well-established authors from different background (Sci-Fi, Fantasy, Romance, Adult, YA, Erotica, etc), it is impossible to deny Steampunk is a growing trend – and it is here to stay, at least in the foreseeable future. If you are a blogger, or an internetian (someone who reads the blogs) especially of the Fantasy and Sci-Fi variety, over the past two years, chances are that you have noticed a significant increase in the number of books published under this enigmatic umbrella called “Steampunk.” You will have seen an increase in the number of articles, events, and essentials lists preoccupied with this compelling and strange sub-genre. There was a movement in science fiction to write in a genre known as “Cyberpunk”. When various writers began exploring similar concepts and ideas but setting them in a pseudo Victorian world the term steampunk was jokingly coined. But in spite of Steampunk’s incredible popularity, we have noticed that there is no clear definition of Steampunk as a genre. For the past few weeks, we have been searching for an established, conclusive definition of what Steampunk is – and across the blogs, forums, and websites we have visited in our quest, we’ve noticed that there exist a vast, disparate array of definitions. Books that are mentioned in some essential Steampunk lists are not mentioned in others, and we’ve some argument as to the limits and parameters of what indeed constitutes “Steampunk.” In fact, in the process of getting reading for the week, we’ve already read a couple of books published and marketed as Steampunk, but which we hardly think fit within the subgenre! But we are getting ahead of ourselves. We plan to come back to the question of “What is Steampunk?” in a special post tomorrow. For now, the important thing is: Steampunk. We love it. We wholeheartedly embrace the idea of a sub-genre which proposes to fuse imaginative, fantastic ideas with complex social structures in a historical setting and making it fun. This was the impetus behind this two-part Appreciation Week – the we too, get to read and learn more about the genre. The computer age has arrived a century ahead of time – in the High Victorian age. The Industrial Revolution, supercharged by the development of steam-driven cybernetic engines, is in full swing. Great Britain, with the benefit of this new technology, prepares to better the world. 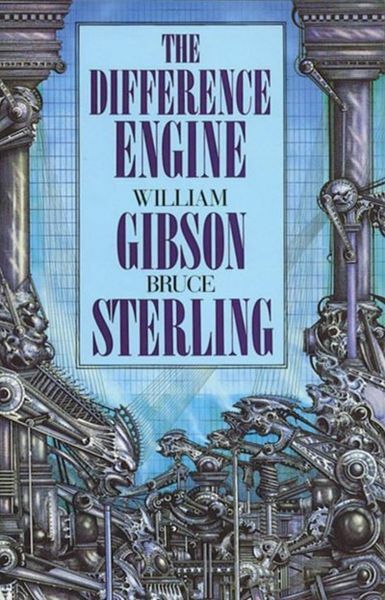 The Difference Engine from William Gibson and Bruce Sterling is considered as THE definitive Steampunk novel. And wouldn’t you know it, Ana has a review for this book later in the week. Deryn Sharp is a commoner, a girl disguised as a boy in the British Air Service. She’s a brilliant airman. But her secret is in constant danger of being discovered. With the Great War brewing, Alek’s and Deryn’s paths cross in the most unexpected way…taking them both aboard the Leviathan on a fantastical, around-the-world adventure. One that will change both their lives forever. 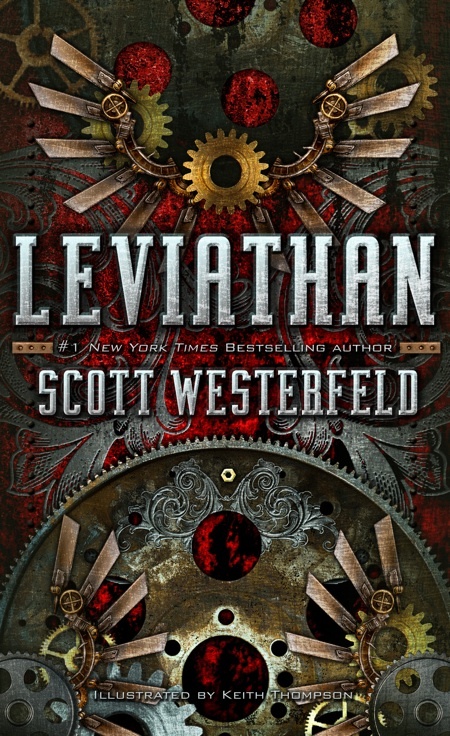 This is one of Ana’s favorites, which she reviewed last year, and marks YA SF/Dystopian author Scott Westerfeld’s first stab at Steampunk. A steampunkish romantic fantasy set in Ondinium, a city that beats to the ticking of a clockwork heart. Taya, a metal-winged courier, can travel freely across the city’s sectors and mingle indiscriminately among its castes. A daring mid-air rescue leads to involvement with two scions of an upperclass family and entanglement in a web of terrorism, loyalty, murder, and secrets. 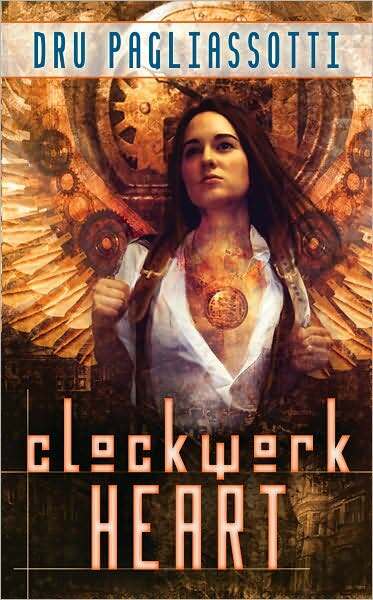 Mixing Steampunk with fantasy and romance, Clockwork Heart remains one of Thea’s absolute favorite novels of the subgenre (reviewed by her HERE). Absolutely essential! 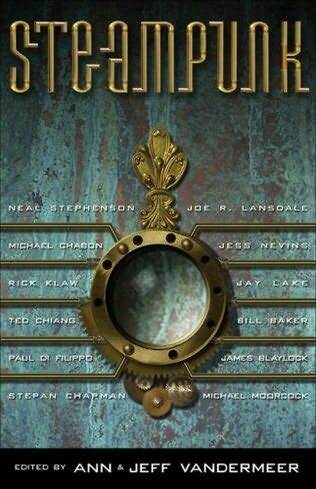 This is an anthology with one heckuva lineup with some of the best and brightest voices in SF/F and Steampunk. Jacob Burn: pilot, criminal and disgraced son of one of the founding families of the ancient city of Veridon. When an old friend delivers to him a strange artifact, Jacob’s world crashes down around him as he runs not only from the law but also from those who were once friends. But even as the array of machines and strange creatures stalk him through the streets of Veridon, something even more sinister and dangerous makes its move against him, an entity that will make Jacob question everything he thought he knew about himself and the city. 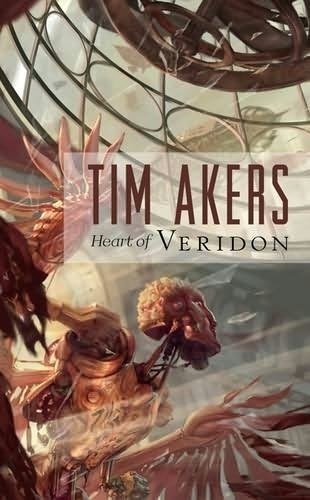 Heart of Veridon by Tim Akers is a new book to the Steampunk consortium, published late last year – but it is already referred to as a classic work by many afficionados. Thea will be reviewing this bad boy in our second Steampunk Week, next month. Mattie, an intelligent automaton skilled in the use of alchemy, finds herself caught in the middle of a conflict between gargoyles, the Mechanics, and the Alchemists. With the old order quickly giving way to the new, Mattie discovers powerful and dangerous secrets – secrets that can completely alter the balance of power in the city of Ayona. This doesn’t sit well with Loharri, the Mechanic who created Mattie and still has the key to her heart – literally. 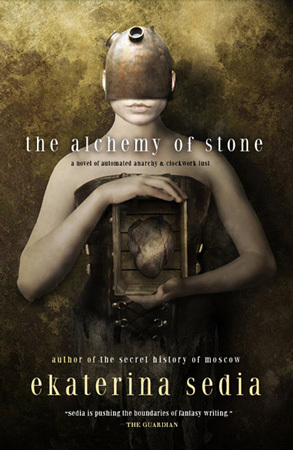 Another title that both Thea & Ana will be reviewing in our second Steampunk Week, next month. 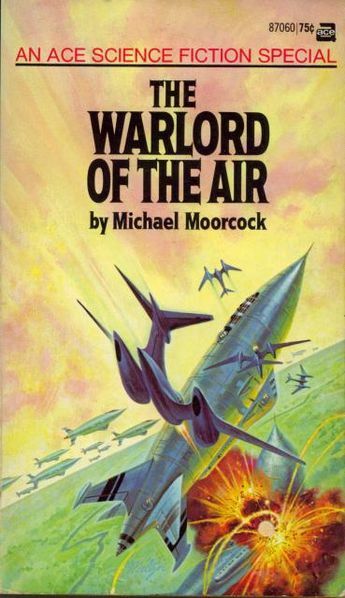 Another book considered as a classic – in fact, K.W. Jeter has been called the “grandfather of steampunk.” While Infernal Engines (and Morlock Night) have been out of print since the 1980s, Harper Collins imprint Angry Robot has signed K.W. Jeter and will be republishing these titles later this year! The action follows 11-year-old protagonist Lyra Belacqua, accompanied by her daemon, from her home at Oxford University to the frozen wastes of the North, on a quest to save kidnapped children from the evil ‘Gobblers,’ who are using them as part of a sinister experiment. Lyra also must rescue her father from the Panserbjorne, a race of talking, armored, mercenary polar bears holding him captive. Joining Lyra are a vagabond troop of gyptians (gypsies), witches, an outcast bear, and a Texan in a hot air balloon. We know, you are probably thinking – wait, The Golden Compass (actually, the entirety of Philip Pullman’s His Dark Materials series) is Steampunk? And, if you can put the movie out of your mind, you’ll realize, just as we did, that it is. Not only is this recognized as one of the best steampunk works out there (it’s on nearly every top 10 list), but it’s one of Ana’s and Thea’s favorite series’ PERIOD. Suppose that a few of our present inventions had been made earlier, and others not discovered at all? How would the last century have evolved differently? This is the story of Oswald Bastable, a Victorian captain who found himself in such alternate worlds. It is based on notes handed down to Michael Moorcock from his great-grandfather. It’s a story of a world of empires secured by airships, and a Chinese genius who invented the means of overthrowing the West’s power! Another classic, and another book that Ana will be looking at and reviewing later this week! 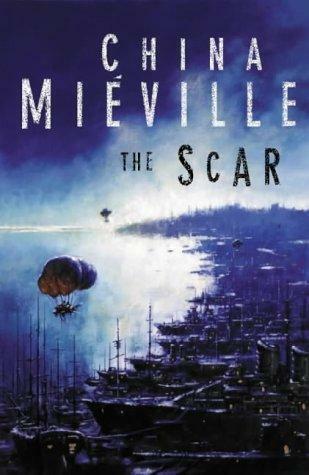 China Mieville is a literary SF writer, and his novel The Scar will be reviewed by Thea in Steampunk Week part deux. – Does Steampunk Have Politics? – Does Steampunk Have an Ideology? A Great article by Joshua Pfeiffer about the Socio Political side of Steampunk . An amazing article by Fantasy writer Catherynne M. Valente about what is NOT Steampunk: Blowing Off Steam. The Gatehouse’s article on Steampunk Politics. Tor.com had a whole month dedicated to Steampunk in 2009. You can read all the articles and reviews via this link. Galaxy Express’ Heather Massey’s article: The Case for Steampunk Romance. Steampunk Scholar – A blog devoted to the PhD research of Mike Perschon, as he researches for his dissertation on the Steampunk as aesthetic. Voyages Extraordinnaires – a blog which covers several genres including Steampunk. They wrote a series of articles on the History of Steampunk. Brass Goggles – A UK Blog (and a forum – beware, you can spend HOURS here.). Devoted to the light side of all things Steampunk, with news about the genre and the scene. For their definition of Steampunk, go here. The Gatehouse– A Blog about Dieselpunk and Steampunk. Their definition of Steampunk is here. Steampunk Magazine – A Publication dedicated to promote Steampunk in all of its forms and free to download online. Their homepage contains links to all sort of Steampunk news and is updated regularly. The Victorian Steampunk Society Website – With links to events, concerts, etc. The Oxford Museum of the History of Science held the world’s first exhibition of Steampunk art in February. In their website you can find all sorts of links, including the programme, videos, photos and a blog of the event. Weekend at the Asylum – the Website of the UK’s leading Steampunk event. This year’s event will take place in Lincoln over the weekend September 10th, 11th and 12th. Speaking of festivals, The Steampunk’s World Fair, the first Steampunk Festival in the US is taking place this year on May 14th-16th , at the Radisson of Piscataway, New Jersey. Great article : for one newbie as myself in the Steampunk territory – even tough I read “Dark Materials” but did not recognize its Steampunk quality – you give a strong basis for determining what’s Steampunk and what’s not ! Thank you for that fascinating presentation (and the links! )I’m so looking forward to your reviews ! This is a genre I have always liked, but not really delved into … yet! CLOCKWORK HEART = huge win for me. Will have to check out a couple of the others that I missed! Thanks for the roundup, and looing forward to the week! Wow! So many resources for Steampunk! I’ll have to find out if my students know the word and if not…I’ll introduce them to it! Great intro! I’ve been looking since about yesterday afternoon for more steampunk references and this is a great list of links. I don’t know why I was surprised to see no reference style info in my library – I tend to forget how relatively new the whole genre is still. I do remember when watching The Golden Compass for the first time and wondering if it was considered steampunk. Had to come back to say I found this Twitter account, which does nothing but post links to steampunk articles, etc. online. At a glance, there looked to be a lot of interesting and potentially good things to see. This is wonderful! I’ll be reading all week. Thank you! 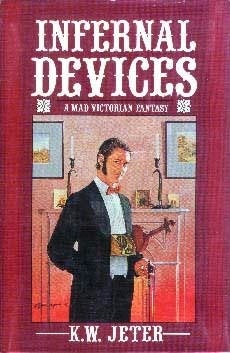 Love the Steampunk book covers. I feel like I will be taking an on-line class this week where I finally will understand what Steampunk is all about. I absolutely loved Leviathan, His Dark Materials trilogy, and The Scar (China Miéville is one of my all time favorite authors because of this and Perdido Street Station). All three were some of the best books I’ve ever read! I never thought of His Dark Materials as a steampunk before. But then again, I read it many moons ago when my books were either labelled, “good” or “stupid-sauce”. So you may just be right on that one. This is gonna be groovy! Or should I say, “steamy”?! I second the vote for CLOCKWORK HEART, which may be the first ever widely read steampunk romance as far as I know. I just finished Katie MacAlister’s STEAMED, and I’m about to jump into Nathalie Gray’s steampunk romance FULL STEAM AHEAD. I also started George Mann’s THE AFFINITY BRIDGE today and holy smokes is it good. I’m eagerly anticipating to his GHOSTS OF MANHATTAN (Pyr, April 2010), which is being marketed as a steampunk superhero book. They got me hook, line, and sinker! See what you started, lol?! Looking forward to all of your coverage! I hope you don’t mind me asking but I like Steampunk and I like to do reading challenges does anyone know of one or are you having one and I missed it? Clockwork Heart is on my TBR list! Nobody has mentioned steampunk erotica – Sexual experiences through the eyes of a female protagonist (coupled with time travel meddling and its dire consequences).